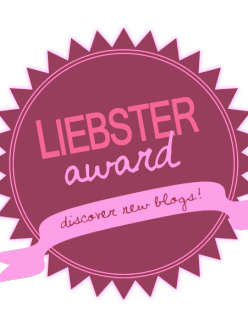 This is my first one Liebster Award Nomination. And you know what people say, “the first one you never forget”. Thank you Viezurele from In Orasul Trist for the nomination. As you probably know, there are some rules we need to respect. So here it goes. When have you started your blog? My first post was made on my birthday this year, 12 of February. I was 25 y.o. and wanted to write about it. Is this your first blog? No, I tried in 2013 my first blog. It didn’t last long as I was too busy with university and didn’t have enough time to write. Where do you get your writing ideas? Mostly I want to write about my daily activities, so whenever I do something, or something happens to me, I want to write about that. What is your favorite book? I don’t have one. I consider my favorite book the book I read and liked till the moment I read a better book. My favorite book at the moment is “Gone Girl” by Gillian Flynn. Who do you admire the most and why? Successful women. I admire independent, ambitious, extraordinary women entrepreneurs. I am ambitious and strive to achieve something in this life, therefore I admire women who already occupied higher positions or started own businesses. Do you have any hidden talents? I wouldn’t say that I have, but maybe I am too modest. What would you do first if you would win the lottery? Definitely travel the world. What’s the last picture you took with your mobile? It was a picture of me with the diplom from the university. What is the one thing you are most scared of? If you had the opportunity to return in time, what would be the one thing you would change? What person influenced you so far? What’s the best part of being a blogger? What will be some of your strengths that helped you in blogging? Where would you like to be in blogging 5 years from now? Would you encourage other people to make their own blog? How? What is your dream destination? Why? What would you do if you would have superpowers? (whew) and I’m done. I like it, and yes I must admitt it’s much work but it is worth it. And I really enjoy blogging, and mostly being a part of bloggers family. Thank you viezurele.